Our Keynote Speakers were excellent. Dr Tom Blackaby of Blackaby Ministries International set our sites on the Lord's intentions for us, and the CFL's Coach Mark Washington brought it home; sending us out focused on God's Calling on our lives. There were 15 Equipping different Seminars Throughout the day with all sorts of "take-aways". Rabbi Ben brought Jewish traditions into context for us. We were blessed as servants of our LORD and Saviour, Jesus Christ. Tom’s father, Dr. Henry Blackaby, shaped Tom’s view of God and ministry from an early age. Tom has served as Associate Pastor of music, youth, and education in four churches and as the senior pastor of North Sea Baptist Church in Stavanger, Norway. Tom has written or co-authored a dozen books, including “The Man God Uses”, “Experiencing God at Home”, and “7 Steps for Knowing, Doing and Experiencing the Will of God” as well as children’s books and books on parenting. He served with his brother Dr. Richard Blackaby and his father as the International Director of Blackaby Ministries International. 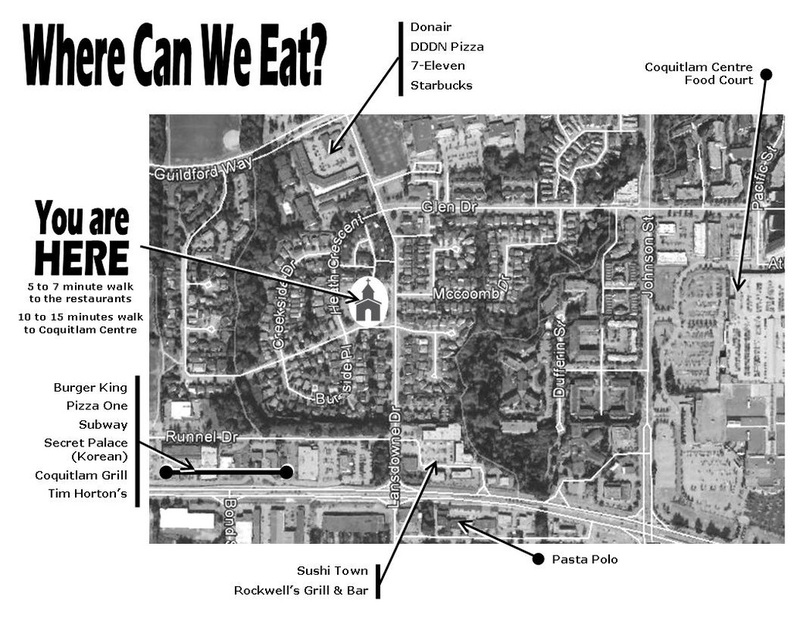 Tom currently lives in Langley, BC, Canada where he serves as Lead Pastor for Brookswood Baptist Church. He and his wife, Kim, have two sons and a married daughter. Mark Washington enjoys two dynamic life-paths. As the BC Lions’ Defensive Coordinator, he is moving forward in his tenth season as part of the football club’s coaching staff. As an engaging motivational speaker, Mark is sharing his Christian passion with strong personal testimonies that invite others to walk a meaningful Christian journey. Prior to making the transition to the coaching ranks from the gridiron in 2008, Mark spent 11 seasons as a player; first with the Montreal Alouettes, earning a Grey Cup in 2002, and then 5 seasons, including the Lions’ 2006 Grey Cup championship season, patrolling the Lions’ secondary from his halfback position. A native of Washington DC, Mark attended Rutgers University and graduated with a degree in Industrial Engineering. Year-round residents in the Vancouver area, Mark and his wife Judy have two children. Equipping Seminars address subjects that are important to men - being good men, good husbands, good fathers, good providers, good protectors, good citizens... men of God and men of Godly character. Click on the ministry name to link to its website. Involved in Business... Whose Kingdom are You Building? Do! Go! Give! Anything God Asks!! Does What I Believe about Dinosaurs Match Reality? Note: All 16 seminars are listed. Around twenty displays and exhibitors are expected for ISI-Coquiltam 2017. Whether you are looking for a personal devotional, a ministry to get involved with, or help developing your own church's ministry to men, there is something here that will build you and the men of your church. 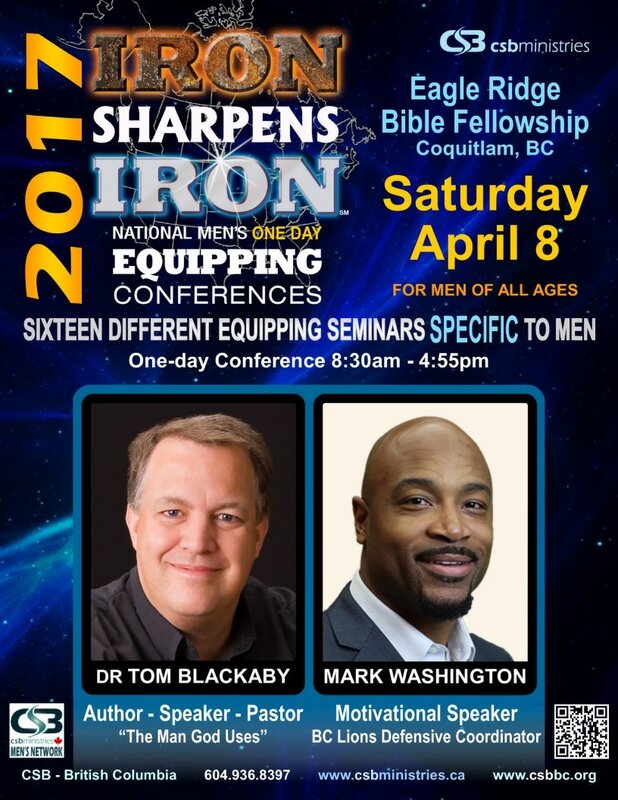 Why an ISI Men's Conference?